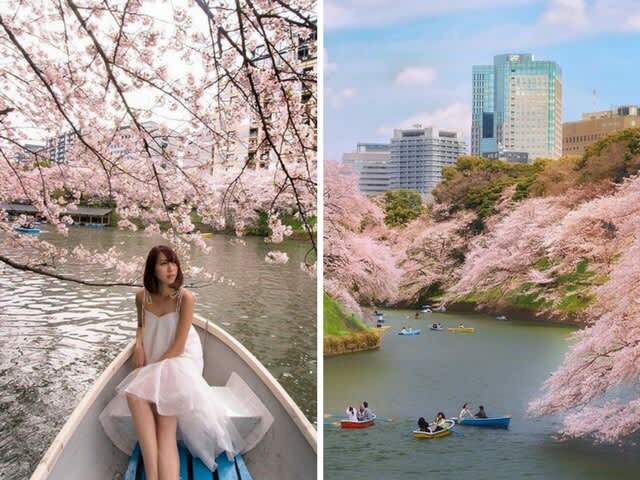 20 Cherry Blossom Picture Spots That Scream Insta-goals! A delicious food haul awaits you! Hokkaido is a food haven and is popular for its fresh seafood such as sea urchin, snow crabs, scallops and many more. Besides that, the abundant region is also home to high-quality local produce and dairy! You can find an endless amount of snacks and treats that are only in Hokkaido and nowhere else. Bringing these home as souvenirs will make you a favourite amongst family members and friends, for sure! Save on your travels with a Klook promo code, so you can splurge on a shopping spree. More details at the end. Japan, a haven for many things, is also home to unbelievably lip-smacking fruits. In Hokkaido, the crowning glory would have to be the Yubari melons. Thus was born, the Yubari Melon Steam Cake. 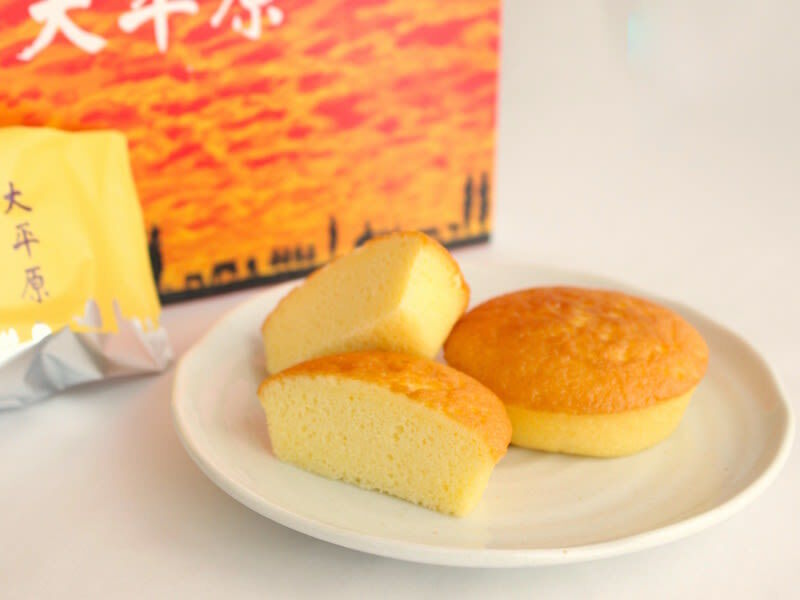 A light sponge cake filled with a luscious, gooey Yubari melon center, this treat is a must-buy from Hokkaido. We reckon if you buy these as souvenirs, they’d go like hotcakes with your friends and family! 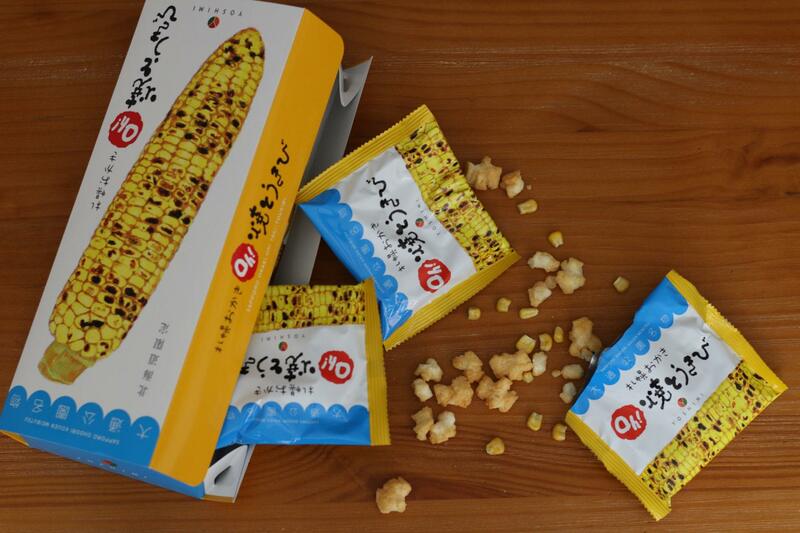 Corn, amongst the other local produce that are known in Hokkaido, can be found in snacks like Sapporo Okaki Oh! Yakitokibi. A crispy mochi rice and barbecued corn snack, you can find it only in Hokkaido. Instead of running high and low in search for them, you can book your Oh! Yakitokibi through Klook for convenient pick-up at the airport. Don’t let its humble exterior fool you, it definitely packs a punch. Even the skeptics will be turned into fans after trying it! 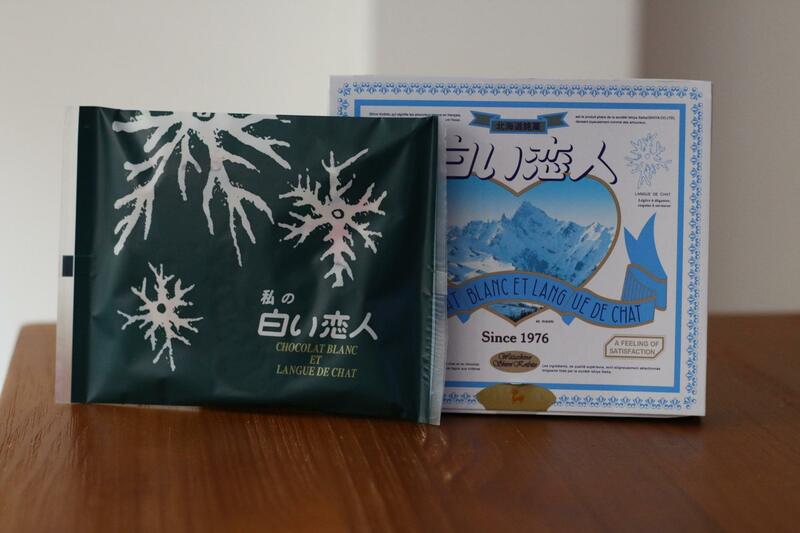 Probably one of the most iconic, if not the most iconic food souvenir in Hokkaido is Shiroi Koibito. Two daily fresh-baked cookies sandwiching a white chocolate filling, it’s a must-buy whenever you’re in that region. If you’ve ever wondered how is it possible for a cookie sandwich to be this good, you might just find out the secret behind it with this cookie making workshop. You’ll even have the firsthand experience of making your own specialised jumbo, heart-shaped Shiroi Koibito! 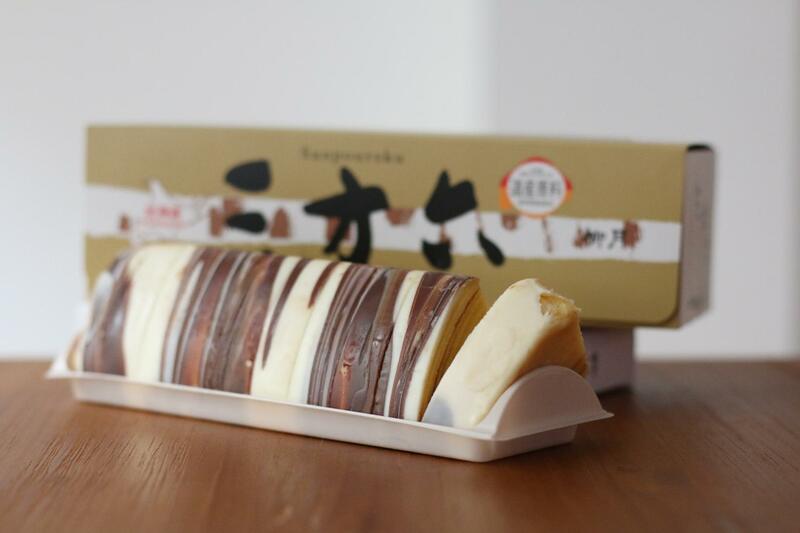 Inspired by the European-style spit cakes, the Sanpouroku is a buttery cake by Ryugetsu with a chocolate layer on the exterior. Designed to look like Japanese white birch trees, not only is it fun to eat, it’s pretty darn tasty too! This Insta-worthy treat will surely get you lots of response, so make sure you’re well-equipped with a pocket Wi-Fi in Japan to tackle those queries! On a quick glance you might think it’s just a normal sweet potato, but it’s actually a cake! 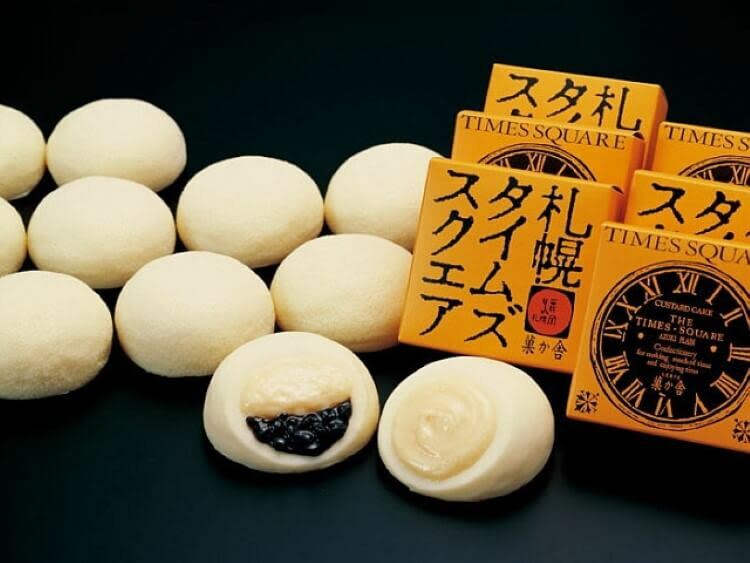 A famous and local specialty in Obihiro, Hokkaido, this is a must-try authentic Japanese confectionery. 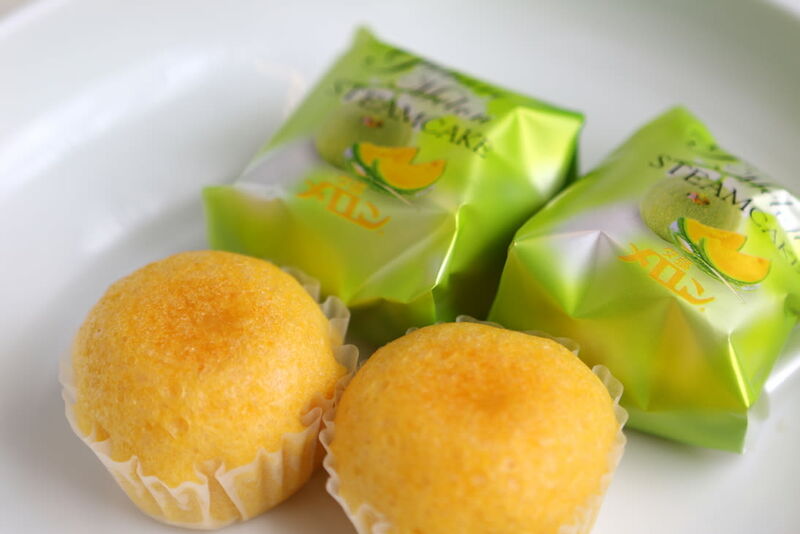 They delightful sweet potato cakes are sold at Cranberry, a well-known confectionery shop in the city. Look like it warrants a special road trip to Obihiro just to have a taste of this and you’re just a convenient car rental away! You can always bet on Japan to come up with the wackiest Kit Kat flavours. 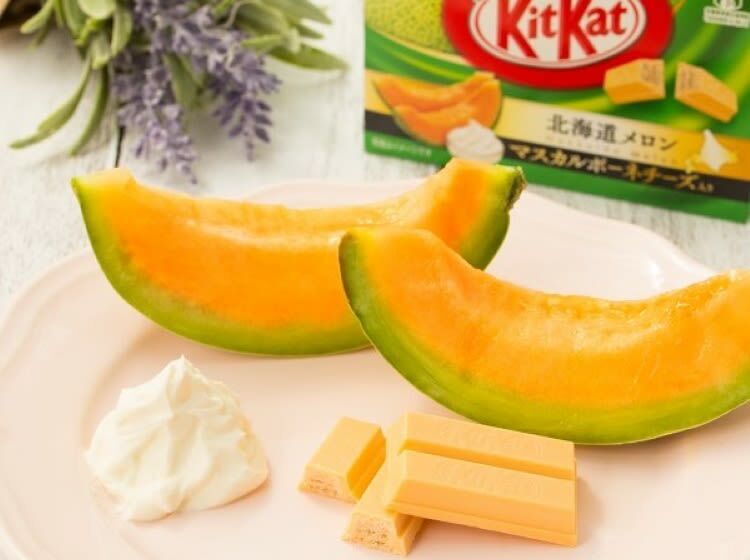 Although not exactly wacky, the Yubari melon-flavoured Kit Kat surely stands out from your normal ones. The Hokkaido special has a milk chocolate option and also a white chocolate with mascarpone option, because when something is so great, you can’t have just one! Aside from the excellent local produce, Hokkaido is also known for its incredible and high-quality dairy products. 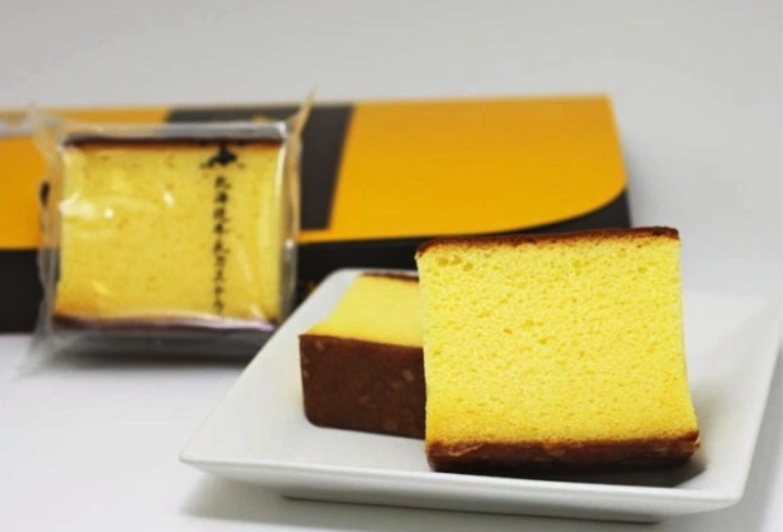 The Hokkaido Milk Castella is a type of Japanese sponge cake made with fresh Hokkaido milk. Light but decadent, you’ll have a hard time stopping yourself from devouring it before gifting it as a souvenir. The victor of Sapporo Sweets 2015 Grand Prix, the Sapporo Kinako Yaki Chocora is not just a simple chocolate snack, it’s a masterpiece! With its trademark pearl sugar sitting atop the chocolate layer, it’s meant to recreate the starry night sky. Would you believe it if we told you that the patisserie that created this treat is run by a grilled meat place? 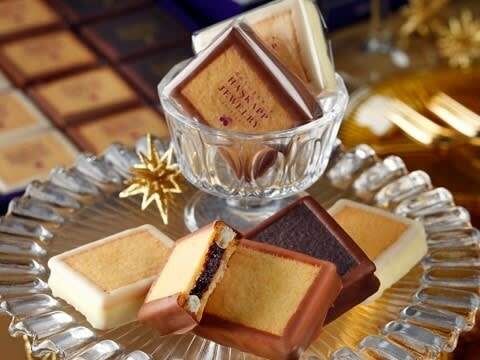 Rokkatei, a famous confectionery producer in Japan, is home to endless selections of must-try snacks. 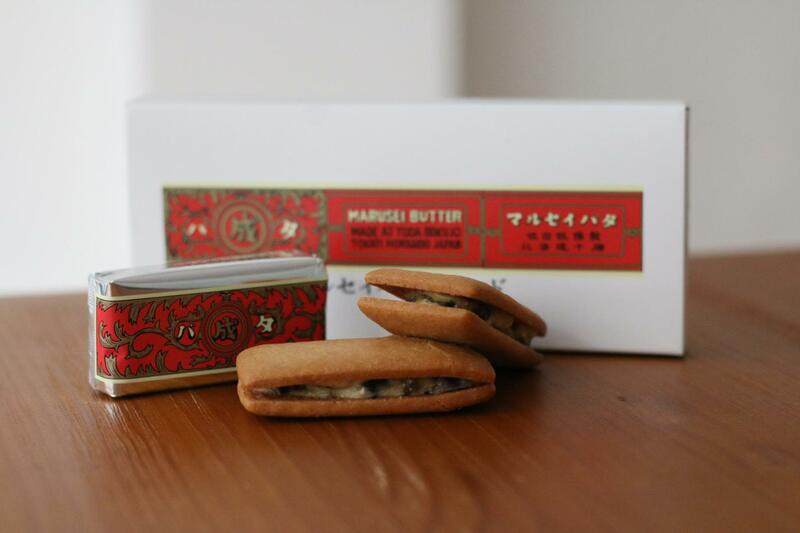 Their Marusei Butter Sandwich, a buttery biscuit sandwich filled with white chocolate and raisins, is one of their top bestsellers. Made with Hokkaido’s exceptional butter, the biscuit is creamy, light and worth paying for extra luggage just to bring a tonne of these back! 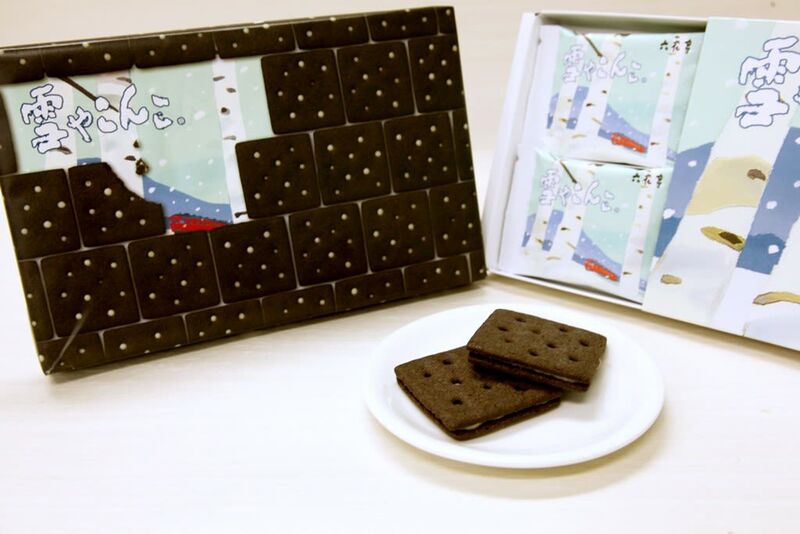 Also from Rokkatei is Yukiyakonko, a bittersweet dark cocoa biscuit sandwich with a white chocolate filling. 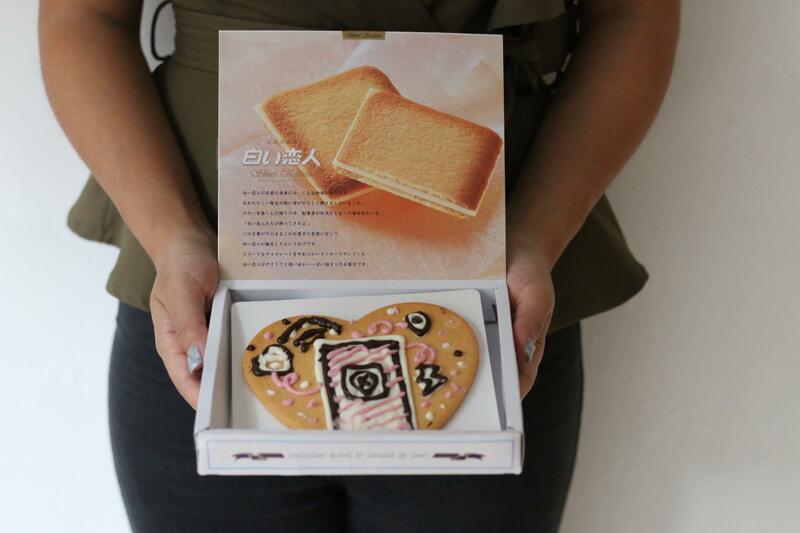 Also sold by Rokkatei, this cookie sandwich comes individually packed, making them great as souvenirs. 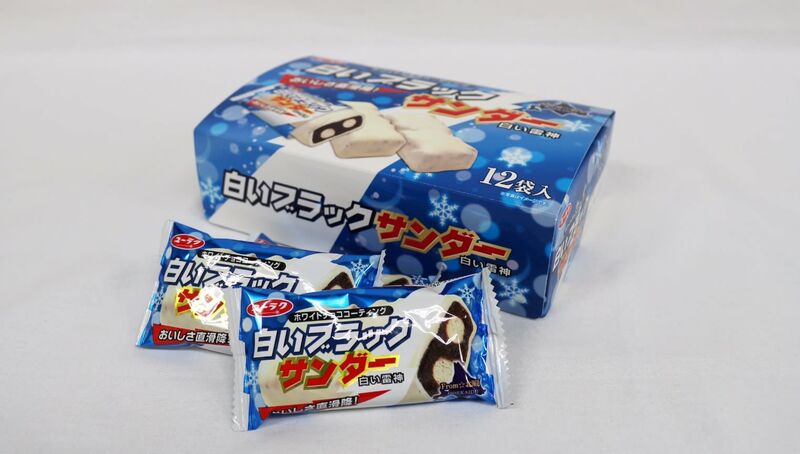 Well, the rest of the world has Oreos, but Hokkaido has Yukiyakonko, and dare we say, it’s even better than Oreos! If you like Madeleines, Rokkatei’s Daiheigen will be your drug (and somehow also your cure)! It’s rich, moist and probably the best you’ll ever have. The distinctive taste and texture is a result of the generous amount of quality Hokkaido butter used to create this gem. Shaped like fun lil’ ice-cream cones, you’re probably more familiar with these Caplico sticks in strawberry and chocolate flavours from your childhood days. In Hokkaido, however, you can get these in Yubari melon flavour! There’s even a surprise chocolate center when you get to the bottom. Who said kids’ snacks are boring! 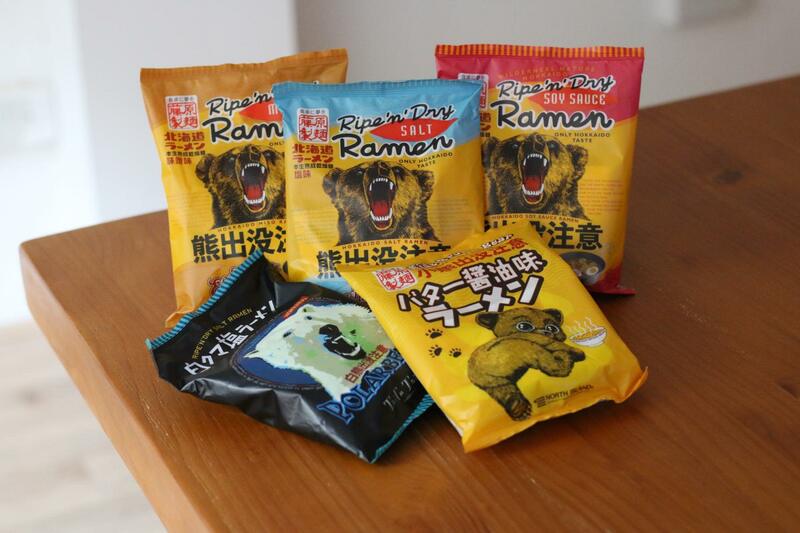 The eye-catching instant ramen, Ripe’N’Dry, can be easily spotted from its striking packaging depicting a growling grizzly bear. One of the more popular selection is the miso flavour. Developed in Hokkaido, Ripe’N’Dry’s instant ramen broth is extra rich and hearty. On a quick taste and slurp, it might just stand up to a bowl of noodles from your favourite ramen place. As one of Southern Hokkaido’s most popular local treat, the Marukan Yokan is a sticky azuki bean jelly. Using high-quality Kintoki azuki beans cultivated in Tokachi, Hokkaido – you can’t replicate this anywhere! Known for its interesting texture and sweetness, they are great as souvenirs for their ability to keep well too. 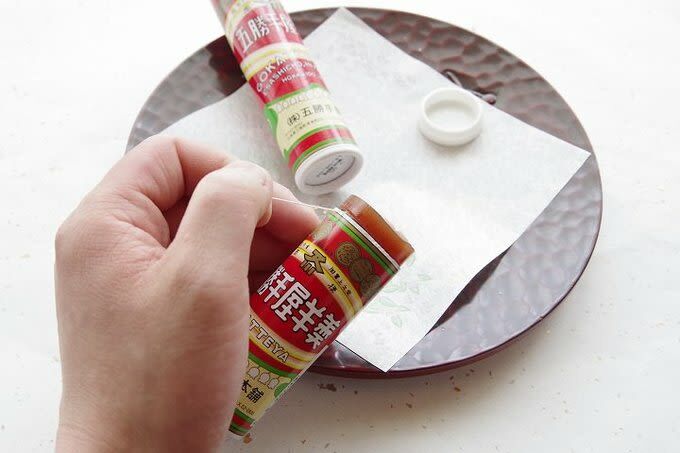 To prevent sticky fingers, simply push the jelly from the back and cut off a portion with the attached string. 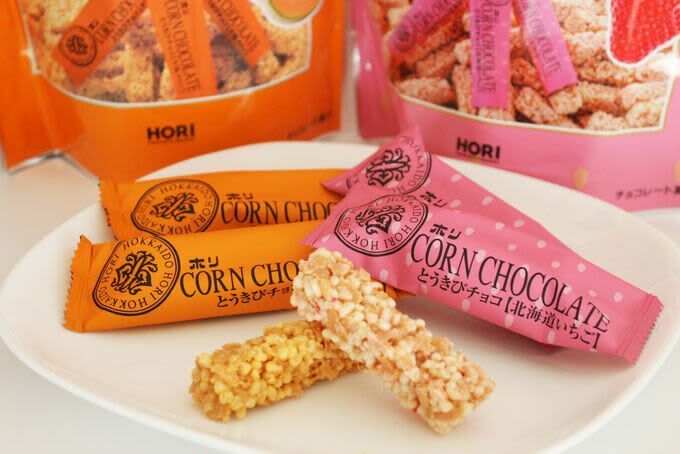 Corn Chocolate, as the name suggests, is made up of crispy sweet corn coated with chocolate. On different occasions, you can also find seasonal flavours like strawberries, melons and milk and more. With just the right level of sweetness, it’s easy to eat a whole bag of them without realising it! A crisp cookie made of mainly butter and wheat might seem simple and boring but in Hokkaido, it’s a total game-changer. Taking advantage of the rich and unique flavour of Hokkaido dairy, the unassuming Sapporo Nogakko snack is melt-in-your-mouth and to-die-for. Also known as Sapporo Agricultural College Milk Cookies, they can be found in Kinotoya. However, if you book your Sapporo Agricultural College Cookies from Klook, you can easily pick-up from the airport instead. Make sure to buy enough of these as souvenirs or you might have people fighting over these! With a name like Haskapp Jewelry, the only way to describe this treat is exquisite! 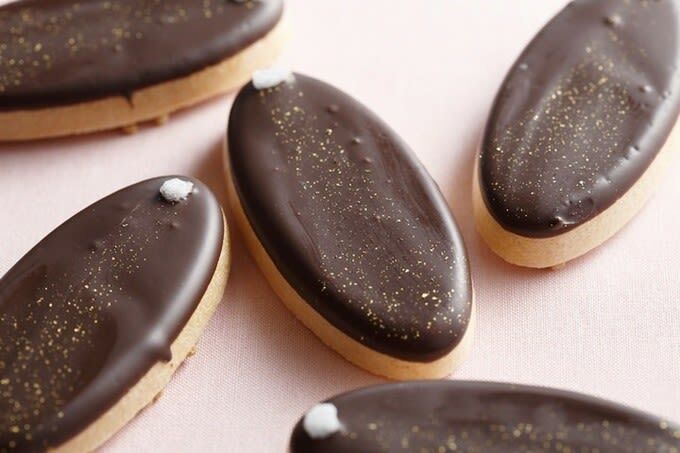 Crumbly, buttery cookies sandwiching a punchy sweet and sour jam surrounded by a coating of chocolate, every bite is better than the last. The jam is made with Haskap, also known as honeyberries, a type of berry that’s native to Hokkaido! Available at selected stores only is the Premium Black version, which uses premium dark cookies for that extra decadence. Calbee snacks are widely available in Japan and outside the country as well but it is only in Hokkaido that you can find Jaga Pokkuru. What makes them special is that they’re made with Hokkaido potatoes with the skins on. 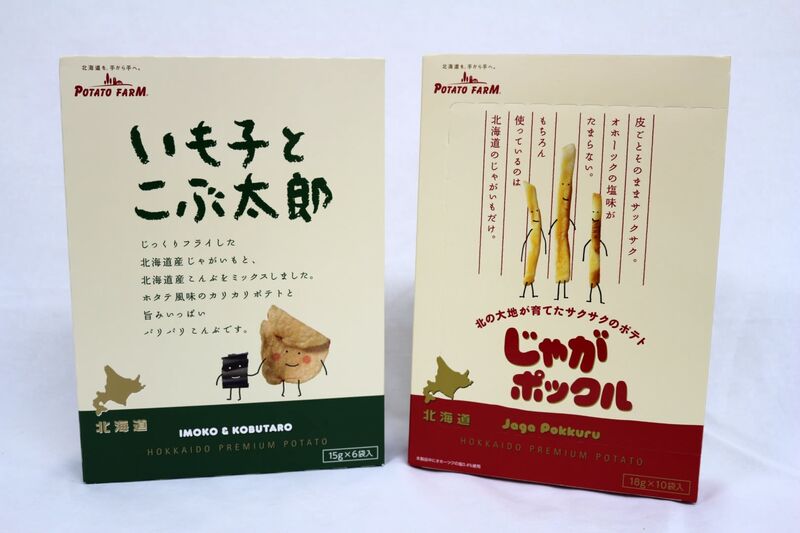 There’s also IMOKO & KOBUTARO which is potato chips with added kelp! Be warned, these pocket-friendly snacks are highly addictive! it’s no wonder they’ve become really popular in and outside of Japan. Purchase these from Klook for convenient pick-up at the airport. Although the name sounds more like a location than anything else, it is, in fact, an iconic Sapporo snack souvenir. Tiny soft sponge cakes filled with custard cream, they’re incredibly tempting and easy to pop into your mouth. Make sure to get these whenever you’re in Sapporo and they come in various flavours too! 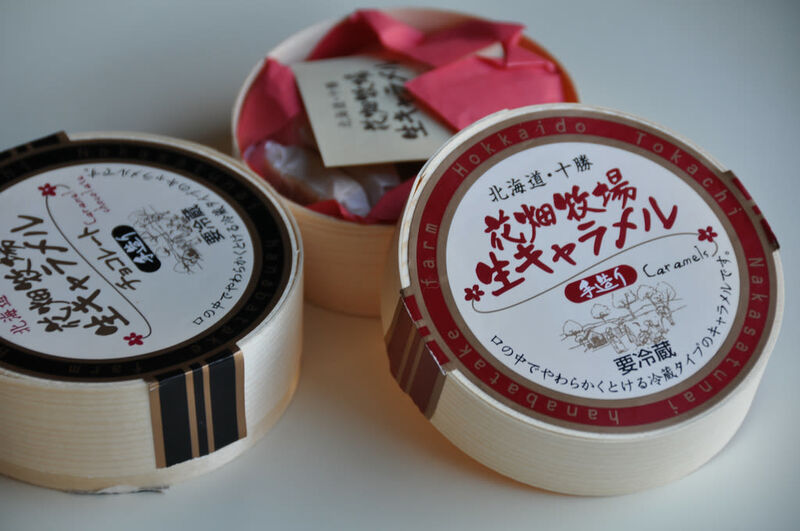 For that family member or friend with the sweet tooth, the caramel candy made by the Hanabatake Farm in Tokachi is the perfect souvenir. Sweet and chewy, they come in a few different flavours as well. 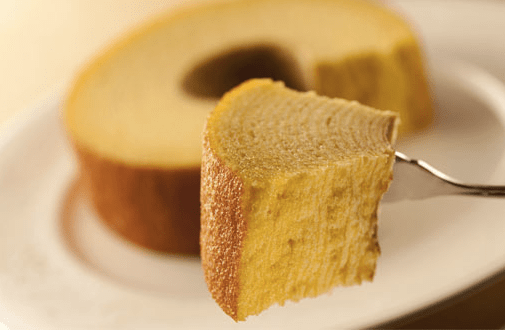 Moist and fluffy, the Yosei-no-mori is a baumkuchen made with a special method. Everything that go into making the cake are locally sourced Hokkaido ingredients as well, thus resulting in its unique taste and texture. You definitely can’t go wrong with this cake. Playing safe doesn’t mean it has to be boring and bland! Black Thunder, a famous chocolate candy bar in Japan, has a special version in Hokkaido. Coated with white chocolate, the Shiroi Black Thunder or White Black Thunder is made with the ever-so-heavenly Hokkaido milk. They’re very affordable too, so you won’t have to worry about breaking the bank while hoarding a suitcase full of these chocolate candy bars. No need to lug these around during your trip in Hokkaido when you can buy these White Black Thunder on Klook and pick-up at the airport before departure! 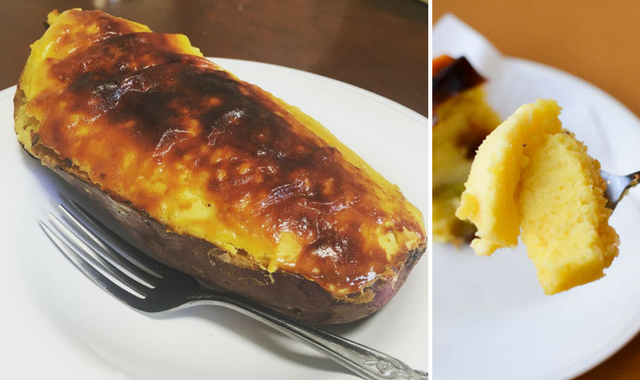 Contrary to its misleading name, the Snaffles Cheese Omelette is actually a souffle-type cheesecake that originates from Hakodate which can also be found in Sapporo. Fluffy and rich, it instantly melts in your mouth, coating your tongue with its cheesy goodness. They come in maple and chocolate flavours as well. All made using Hokkaido’s premium quality dairy, it’s a souffle one can never forget. Bringing home a cheesecake as a souvenir isn’t exactly the most convenient thing but boy, oh, boy, is it worth it. 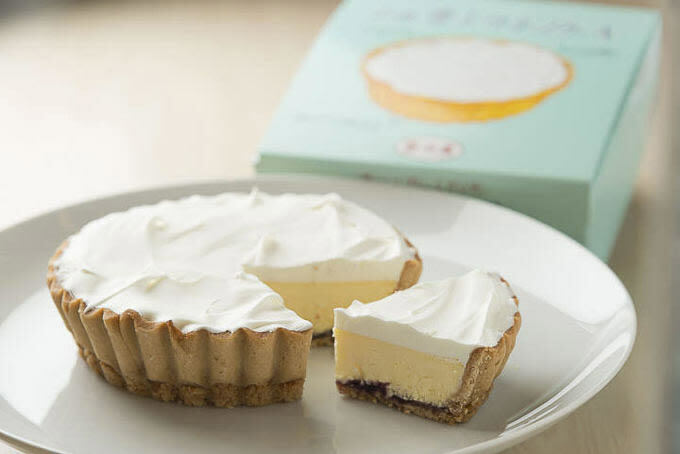 The Furano Yukidoke Cheesecake has a crispy tart exterior with wild grape and blueberry jam as well as rich cream cheese as the filling. Finally, it’s topped with fresh whipped cream to depict the snowy landscape of Hokkaido winter. 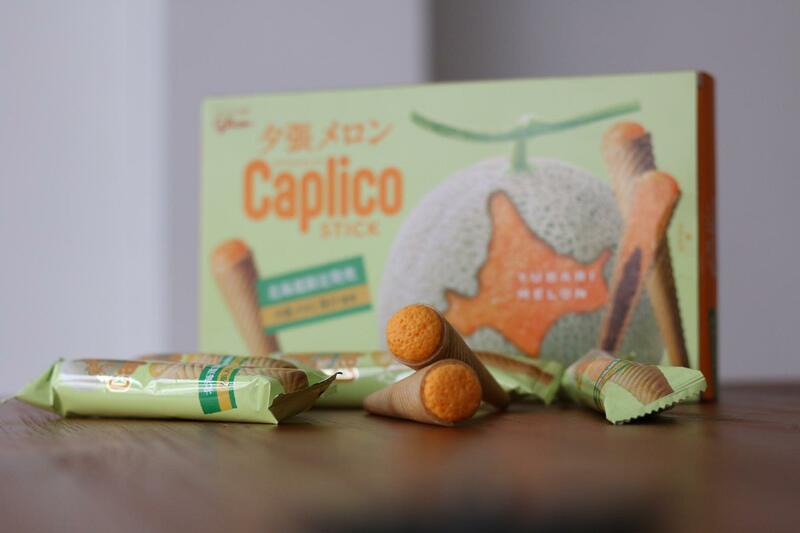 Sample the classic Pocky in a limited Hokkaido-only flavour made with the cantaloupe grown only in the city. 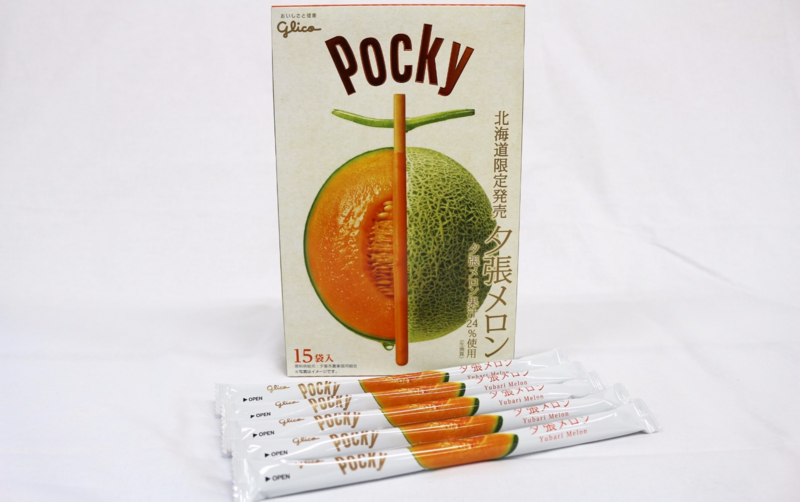 Each plus-sized Pocky Yubari Melon stick is individually wrapped and coated with a Yubari Melon icing. Bring home a piece of Hokkaido with you before leaving the city and book your Pocky Yubari Melon from Klook. Sweet memories and sweet treats go hand in hand! 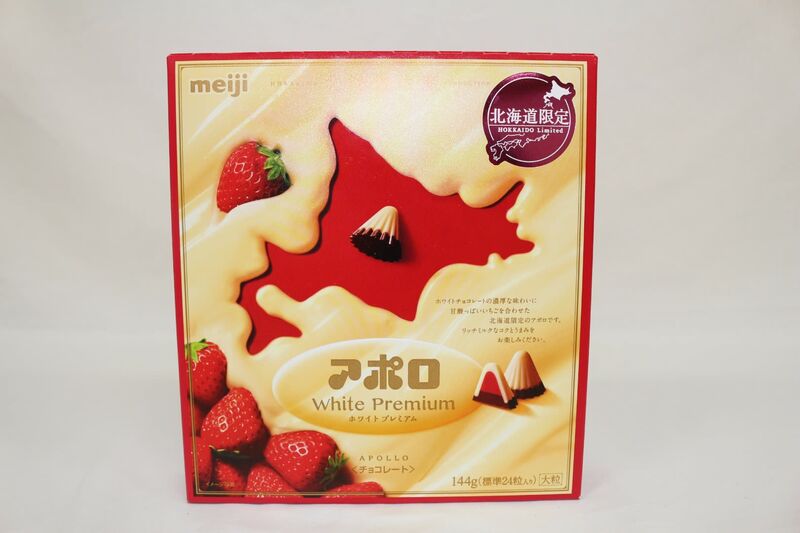 You won’t be able to get enough of this lip-smacking combination of sweet white chocolate and tangy strawberries with every piece of Meiji’s Apollo White Premium. If you think it’s a snack only for kids, oh boy, are you wrong! Shopping for souvenirs can be hectic when you’re short on time, but you can easily book with Klook and enjoy easy reservations and pick-up at the airport. Hokkaido, with its abundant of fresh and incredible seafood, is the perfect place for seafood lovers. The the city will be heartbreaking but it doesn’t have to be. You can bring home a taste of Hokkaido sea with you in the form of Horsehair Crab! Get this freshly-cooked Hokkaido Horsehair Crab from a crab specialty shop on Klook. Each crab is guaranteed freshness, cooked on the day of the pick-up and frozen to preserve it during your flight back. Simply thaw and enjoy it when you’re home! Save on travels so you can spend on food! 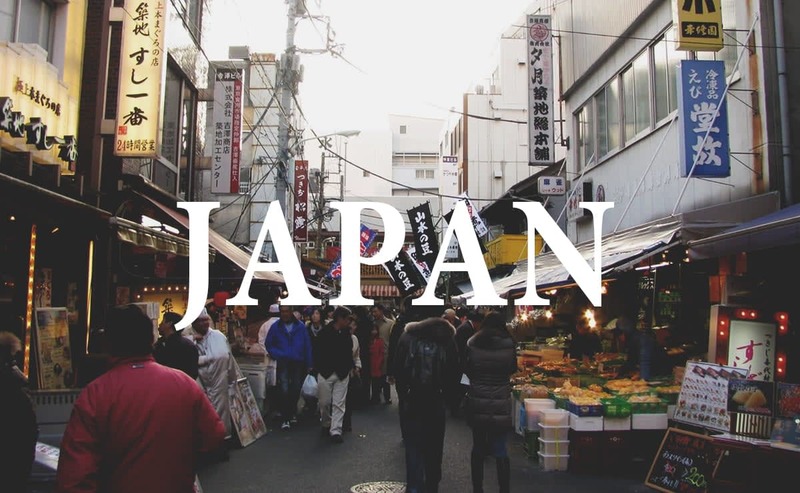 Get the best deals on your holiday to Japan when you use Klook. With our best price guarantee, you can enjoy a fun-filled trip without breaking the bank.